When Billions returned for its fourth season last night, I was delighted to see all my favorite characters’ faces again: Wags’s insouciant and devilish grin, Axe’s preposterously tiny mouth, Wendy’s stern coolness, Taylor’s even sterner coolness. But there was no face I was happier to see than Chuck’s, mostly because I’m always very happy to see Paul Giamatti’s face. 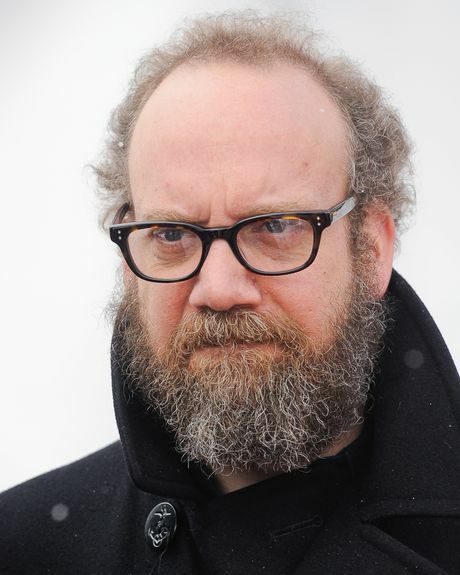 Paul Giamatti’s resting face — the face of a 51-year-old man — has the uncanny ability to telegraph everything I — a 29-year-old woman — am feeling about both the world in general and my life in particular at any given moment. While I don’t know Giamatti and am sure that he’s perfectly nice, his facial muscles in stasis radiate a deep, soul-permeating grumpiness. I am, in no uncertain terms, obsessed. 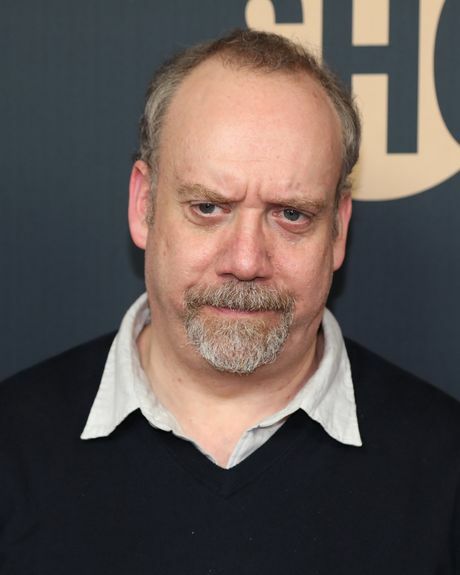 If I had access to a color printer, scissors, and a glue stick, I’d be constructing an elaborate vision board entirely comprised of pictures of Giamatti looking cranky. But I don’t, and I’m terrible at arts and crafts, so I’m telling you about it here instead. Here he is, for instance, captured riding the subway back in 2017. He looks like the sentient version of a heavy sigh — truly the everyman communter. And it’s an image he’s apparently dedicated to maintaining even when the cameras aren’t around. Let’s examine a straight-on shot of the actor, which reveals expertly furrowed brows and pursed lips. 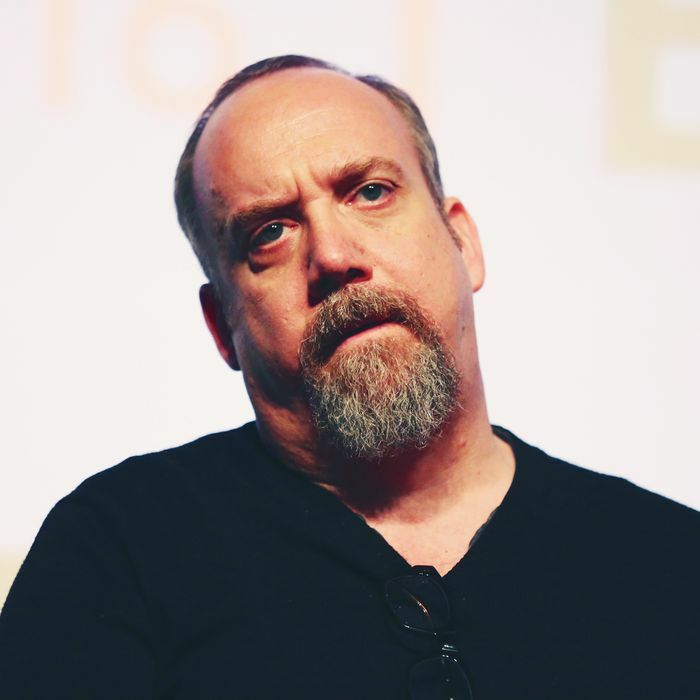 Giamatti looks perpetually disappointed — disappointed in you, even — and why shouldn’t he? Everything is disappointing and it was only a matter of time before you figured that out. I don’t want Paul Giamatti to yell at me so much as I would love for him to shake his head slowly in somber displeasure. 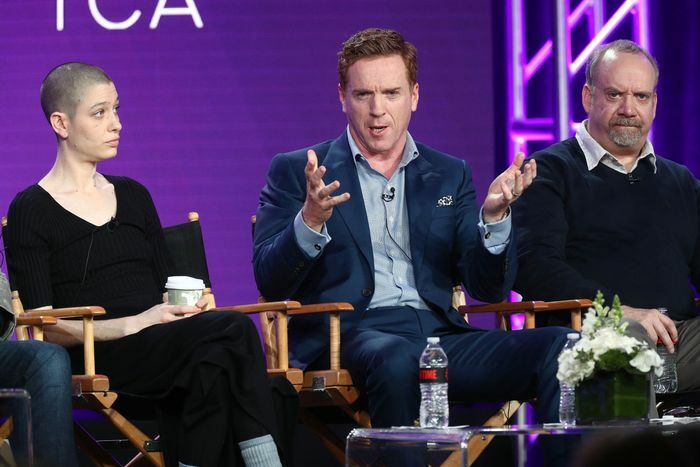 Or take Giamatti’s expression during a panel with Billions co-stars Asia Kate Dillon and Damian Lewis. His irritation is alarmingly focused, as if he’s newly remembered an incident when an enemy wronged him years ago (or Damian Lewis just farted). 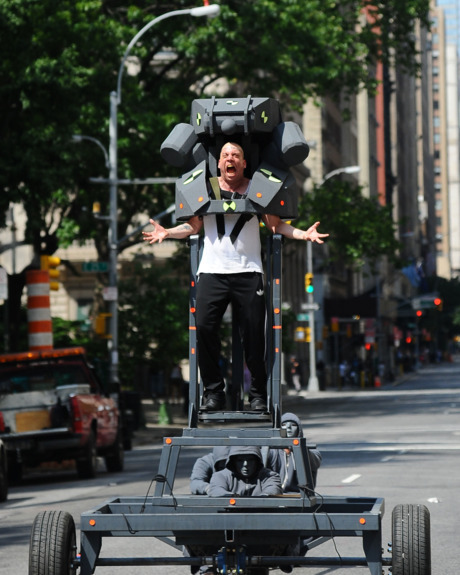 Oh, this doesn’t have to do with this post but, while searching for pictures of Giamatti looking grumpy, I came across this photo of him filming The Amazing Spider-Man 2 and I’d be remiss if I didn’t share it. I am grateful that the return of Billions means more opportunities to see him absolutely roiling with discontent. And I’m of course grateful for Paul Giamatti’s face, for making me want to live my truth.